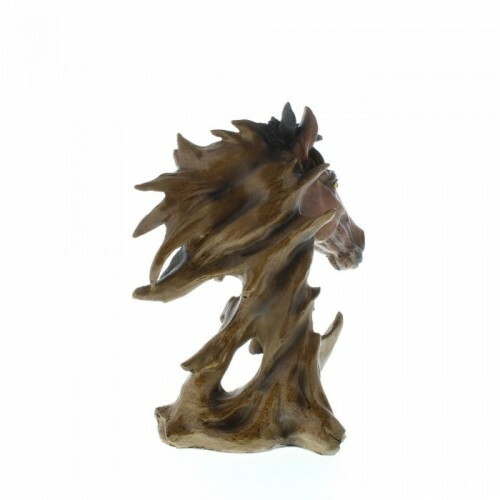 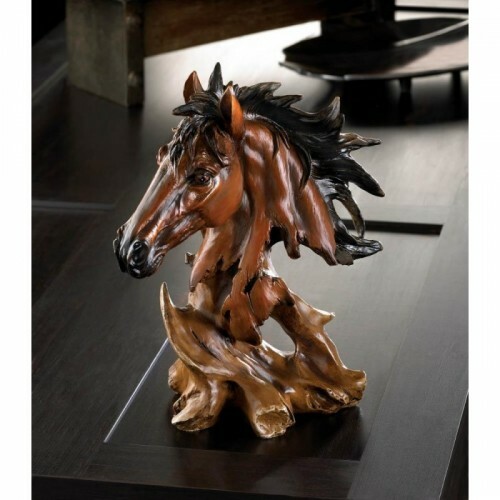 The unbridled beauty of this dramatic stallion bust will make a spirited statement in your decor. Perfect for your desktop, mantel or book shelf. 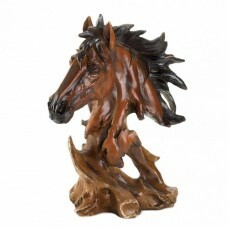 8.5" x 5.25" x 11"